Designed in close cooperation with Adriano Molinari (Zucchero), one of our main endorsers, the Vibra move from the concept of the Blast Crash, evolving into a more contemporary and unique sound. 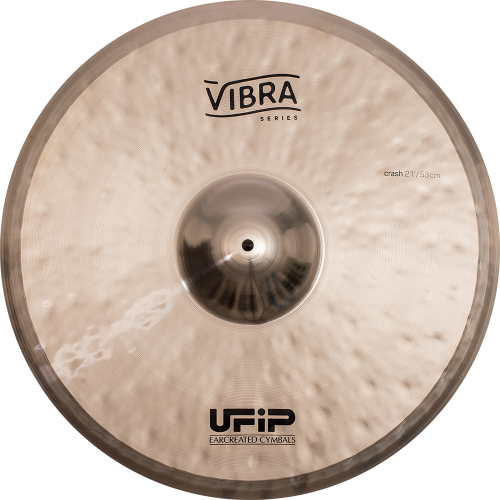 The special hammering process applied to the Vibra is based on the traditional UFIP hand manufacturing method, but with a more intense labour process, to create that special UFIP Vibra tone. 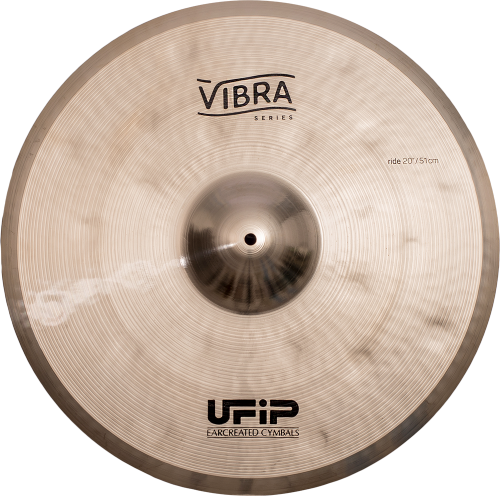 This hammering procedure, together with a unique appearance, confers to the Vibra an incredible sound. The crashes are explosive, with great attack and medium decay. 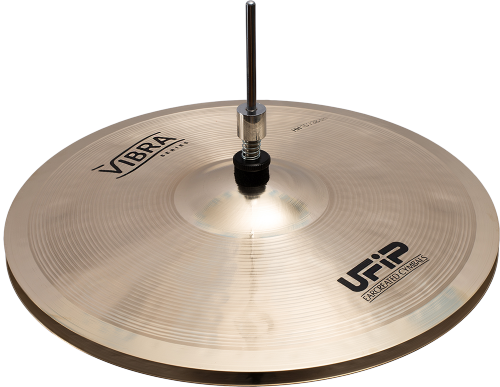 The Rides are controlled with a good stick definition, while the Hi Hats are powerful, dynamic and designed to meet any music style. 16 " 17 " 18 " 19 " 20 " 21 "
Cast using the Rotocasting® process. Completely handmade. Hand hammered with a special double cross procedure.